2013年10月31日 今すぐ使える英会話例文集 Third time’s a charm. 2013年10月30日 今すぐ使える英会話例文集 Small price to pay. 2013年10月24日 今すぐ使える英会話例文集 he is a savant when it comes to things like this. 2013年10月23日 今すぐ使える英会話例文集 O.P.R. booted him, swept the whole thing under the rug. 2013年10月22日 今すぐ使える英会話例文集 And that card foots the bill. 2013年10月21日 今すぐ使える英会話例文集 Maybe you picked the wrong universe to live in. 2013年10月19日 今すぐ使える英会話例文集 Mr.Kent would like a word before you start. 2013年10月18日 今すぐ使える英会話例文集 It’s hard to picture you at a big financial firm. 2013年10月17日 今すぐ使える英会話例文集 He’s pointing fingers at his competitors. 2013年10月16日 今すぐ使える英会話例文集 Can you disable it? 2013年10月14日 今すぐ使える英会話例文集 Give me the vin number. 2013年10月13日 今すぐ使える英会話例文集 I need to hot-wire a lamborghini. 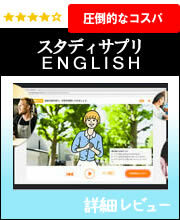 2013年10月12日 今すぐ使える英会話例文集 you’re in a groove.